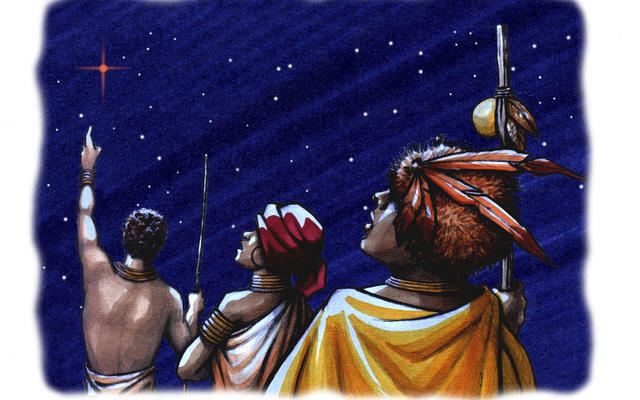 Artist concept of a tribe on Earth observing Mars in the sky. In a time when only the moon and the stars lit up the night sky, fear and foreboding rose whenever a blood-red dot looped its way across an otherwise still sky. 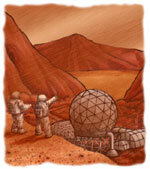 Mars, the Red Planet, was a familiar and yet suspicious omen, a symbol for war and aggression for thousands of years. 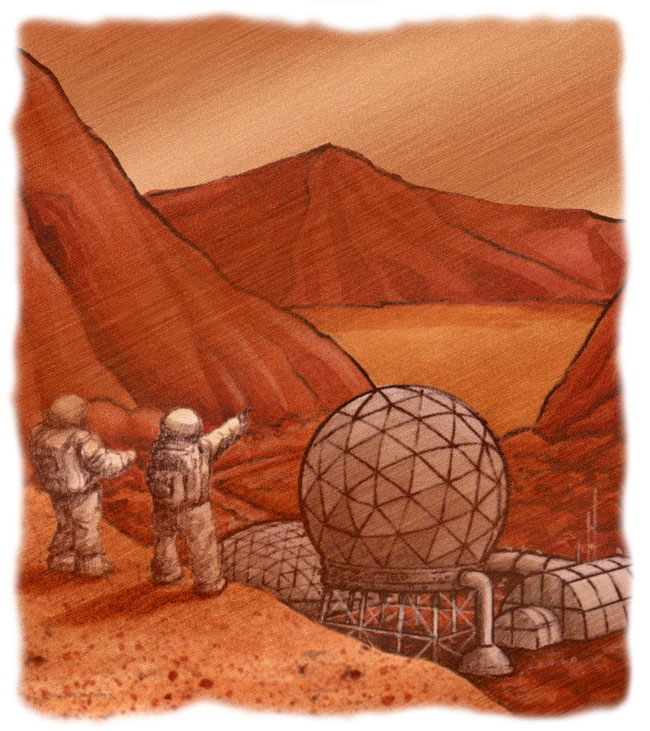 Mars has remained in the human imagination, and not even the rise of science and technology has interrupted our wary fascination with this neighboring world. Telescopes in the 1880s revealed strange markings on Mars which convinced masses of people that Mars had canals built by an alien race. 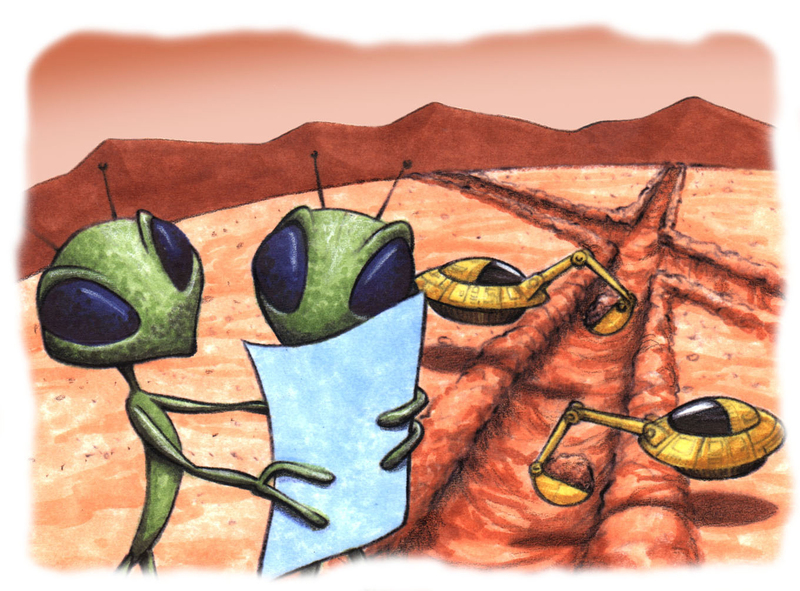 Were these Martians warlike and should we fear an invasion? 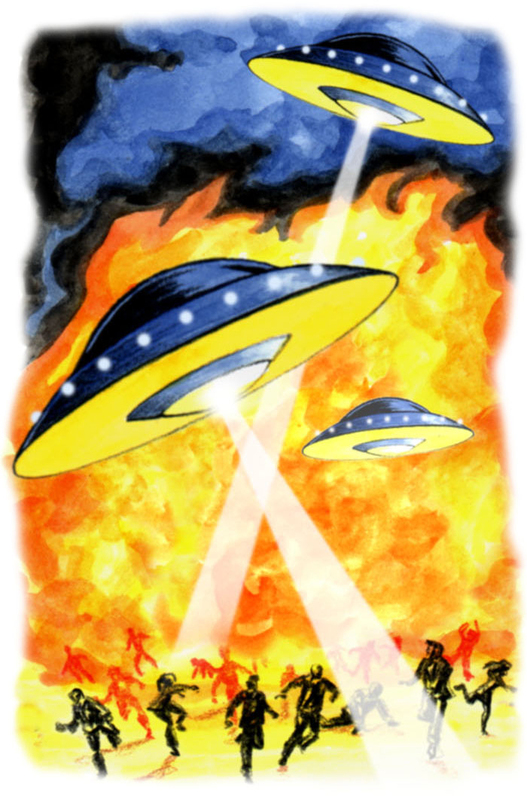 Radio convinced us "yes" when a 1938 broadcast of "War of the Worlds" scared millions of listeners into believing that tentacled creatures had landed on Earth in their war machines. Today, we know that there is no intelligent civilization on Mars, and our imagination turns to our own possibilities on the planet. The danger of Mars still lurks in our conscience, for Mars today is a hostile world, blanketed in toxic soil and zapped with radiation. And yet, we are on a quest to conquer our fears and make peace with this planet. We begin to brave the hardships because Mars is the only planet on which humans could one day settle, making it a place of hope as well as trepidation.